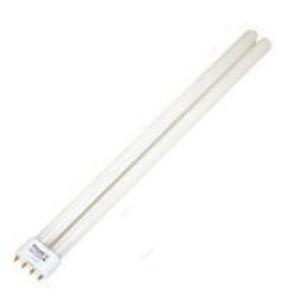 Halco Lighting ProLume® 40-Watt T5 2G11 4-Pin Base compact fluorescent lamp offers 3150 initial Lumens and 2835 mean Lumens for bright and crisp light output. Lamp has voltage rating of 120-Volts. It has color rendering index of 82. Lamp with 3000K color temperature rating radiates soft white light to the surrounding. It measures 22.5-Inch x 1.7-Inch Dia. Lamp has average life of 20000 hours. It is ideal for wall sconces, downlighting, task lighting and security applications.